Did you know that the chemical composition of your water can affect the longevity and functionality of your plumbing pipes? This is because water is almost never pure and rarely neutral. Instead, water tends to be either slightly acidic or slightly alkaline, and depending on your water’s designation, it can either lead to pipe corrosion or scale buildup. When most people, including many facility managers, think of water chemistry, they think of the scientific designation for water, which is H2O, and the visual representation of the molecule, which looks a lot like Mickey Mouse’s head. That’s pure water, and pure water doesn’t flow out of your taps, operate your chiller or help circulate the heat in your boiler. Instead, the water that flows from your taps, operates your boiler and keeps your chiller running is treated groundwater, which has impurities, like dissolved minerals, metals and other chemicals. 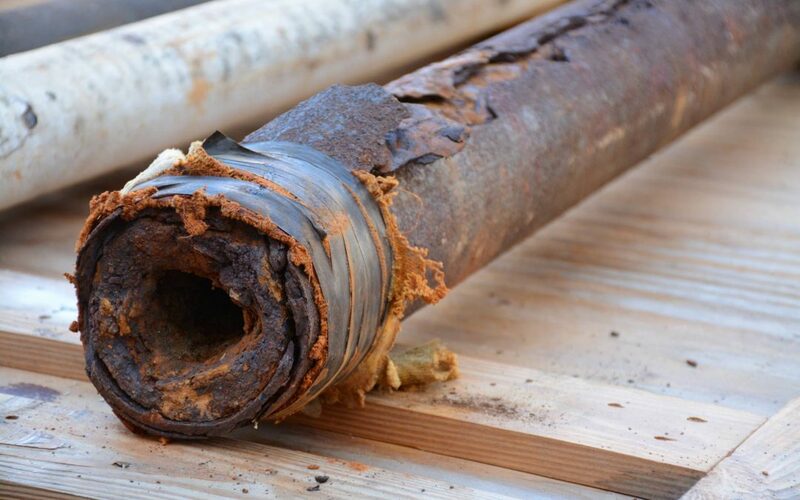 It is the impurities in the water that cause metal pipe corrosion and decrease the operational efficiency of water-using machinery, like boilers, chillers and water heaters. For example, did you know that a 3/16th-inch layer of scale in your boiler pipes can increase boiler fuel consumption by 38 percent, according to Fascilities.net? Pipe corrosion and scale are a direct result of the chemistry of your water and the pH balance. PH levels directly refer to the acidity and alkalinity of items, usually liquids. The scale ranges from 0 to 14. Zero indicates something that is highly acidic, like battery acid. Fourteen indicate an item that is extremely alkaline, like Lye. Seven is neutral, and water typically ranges from 6.5 to 8.5. Acidic water is water that has a pH level below seven. This water tends to dissolve a lot of minerals and metals, including the metal of your plumbing pipes. This is what causes pipe corrosion, pits and cracks in plumbing pipes. Water with pH levels above seven tend to deposit minerals, like lime and calcium, onto plumbing pipes. This is what causes scale, which typically appears as white staining on faucets and fixtures. There is almost no risk of corrosion when alkaline water is flowing through your plumbing system. However, the scale can clog faucets, showers, coffee makers, washer inlet valves and the hoses and filters of other water-using appliances. The first step in preventing pipe corrosion and scale deposits is to regularly test your water. These tests can be performed by a certified licensed plumber or testing kits can be purchased at your local hardware or home improvement store. Once you know the pH level of your water, you will be able to proactively take steps to prevent corrosion and scale. Water chemistry control is fairly simple for closed loop systems and systems that are mostly closed but require make-up water. Boilers and chillers typically fall into these categories. For closed loop systems, it is recommended to keep the pH levels between 8 and 8.5. When the system requires make-up water, it is generally recommended to keep the pH levels between 9 and 10, according to GE and Fascilities.net. At these levels, pipe corrosion is minimal. However, scaling is a real possibility. For that reason, water that is alkaline or hard should be treated with certain chemicals, like sulfuric acid, polyphosphate or another type of dealkalizer. Pipe lining for metal plumbing pipes can help prevent pipe corrosion, and pipe liners and coatings can be used on almost any type of plumbing system, including the pipes that feed and discharge water for your water heaters, chillers and boilers. Pipe lining works because it prevents acidic and alkaline water from touching the metal of your plumbing pipes. Instead, the water flows down the liner or cured coating, which can improve pipe efficiently and extend the useful lives of your plumbing pipes. 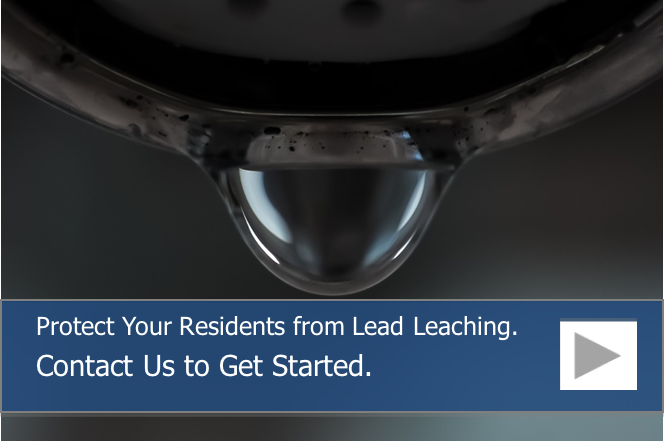 For more information on our Chicago pipe lining technologies and how they can help you improve water flow and plumbing pipe longevity, call us at 815-790-9000.